This is my workout plan for this week. I will likely change this up from week to week to keep from getting board. Each session starts with 1 mile on the treadmill. My knees have been bothering me so I told myself I would just walk on an incline. Well my brain will just not let that happen. I guess you know you are a runner when you just cannot walk on a treadmill, you have to run. LOL My pace was slow but I was moving. So whether you walk or run on the treadmill or you do the elliptical, just get some cardio in before your weight. 🙂 I have been pushing myself harder and I can feel it. I log all my weights down in a notebook so I can keep track of how much weight I am using and how much I improve. I like to throw in a bit of Abs with each workout as well. Keeping my core strong. 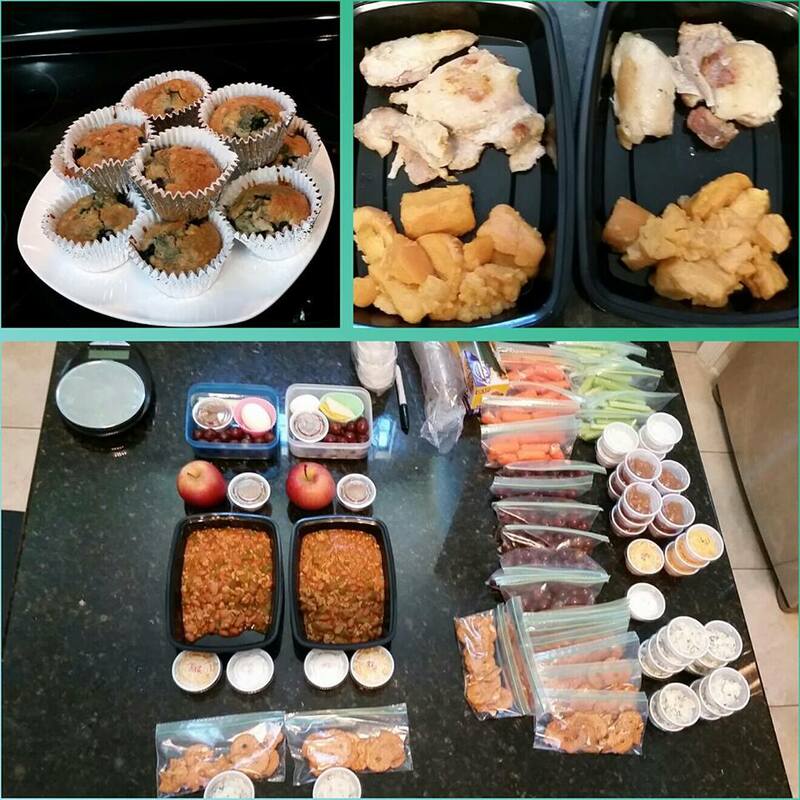 Meals have been a breeze this week so far with the meal prep we did. This was my food for today. I also had celery and ranch for my PM snack. 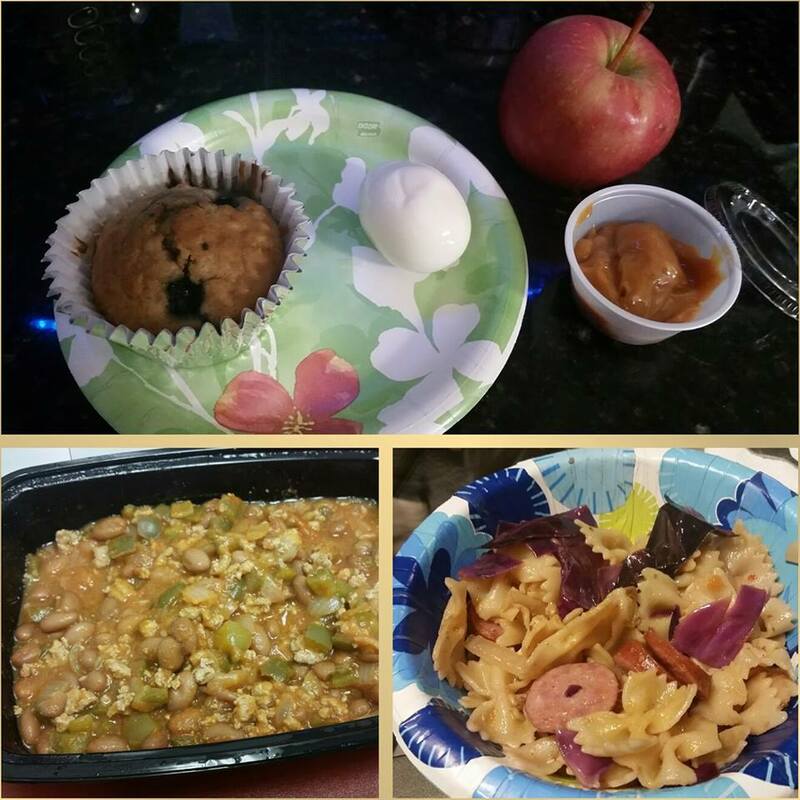 The meals are so yummy and I am not hungry at all throughout the day. Time to start prepping next weeks menu. 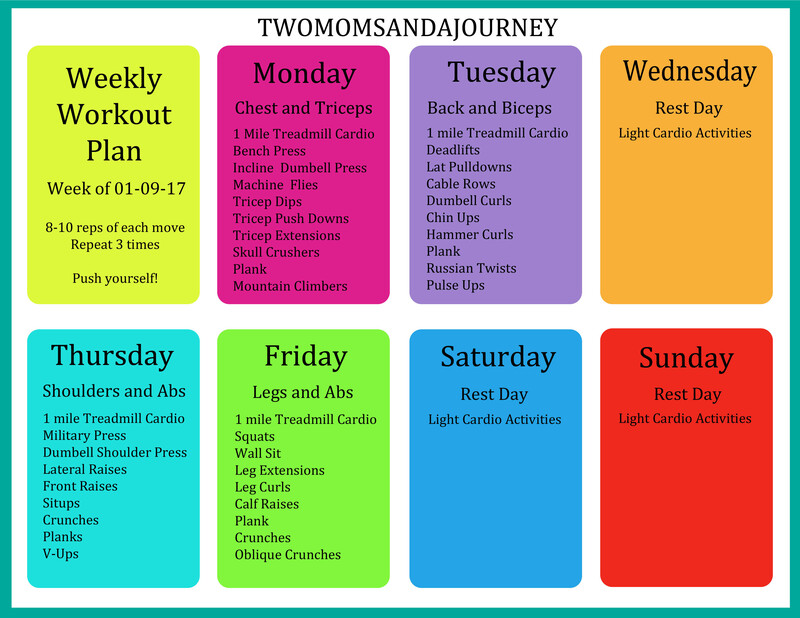 Are you sticking to your weekly plan so far? 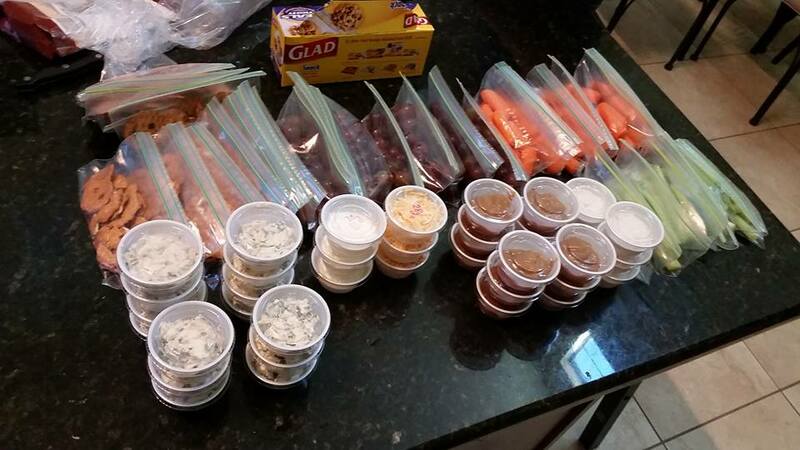 Meal prep is a huge advantage to help you stay on track. If it isn’t easy and readily available, you are not going to stick to your plan and get to your goal. Let’s face it, we are all busy and run around all the time. If you take just a few hours to prep your week you will see how much easier your week goes, how you stick to the meal plan, how you are prepared for dinners, and how much less stressful eating healthy becomes. We start our week on Monday so we prep on Sundays. The first time we did a meal prep it took us about twice as long as it does now. Once you get a system down it becomes easier. 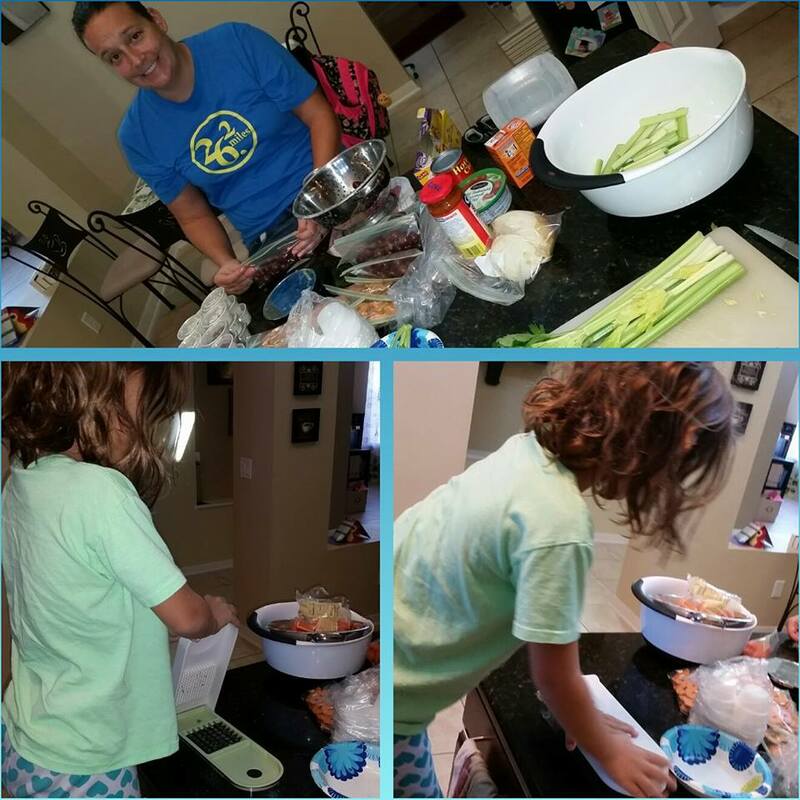 I put my two helpers to work and we get meal prep for the week done in about 2 hours. Having just a few meals to prep for breakfast and lunches makes prep go by faster as well. Don’t try to get overly fancy and alternate 7 lunches a week. You will get worn out and not stick to it. 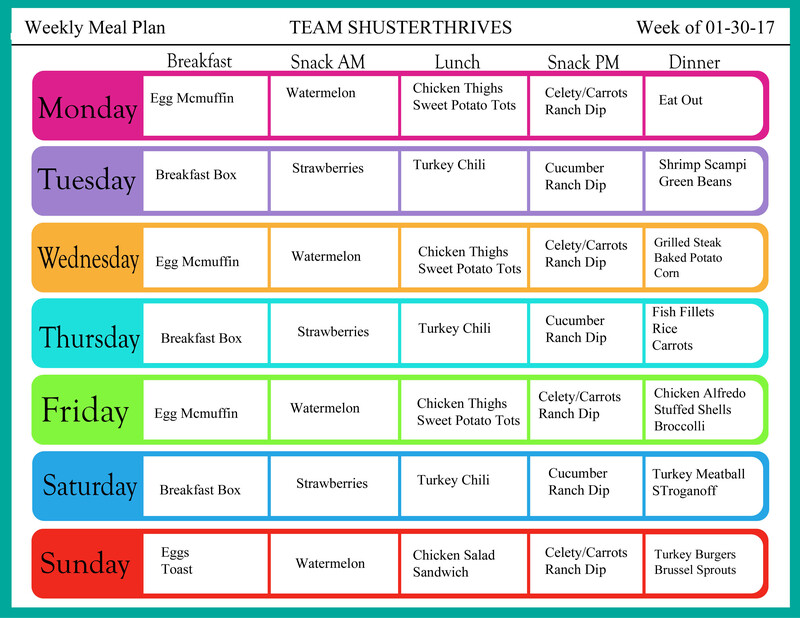 We alternate between 2 days of meals thru the week (every other day we eat the same thing). 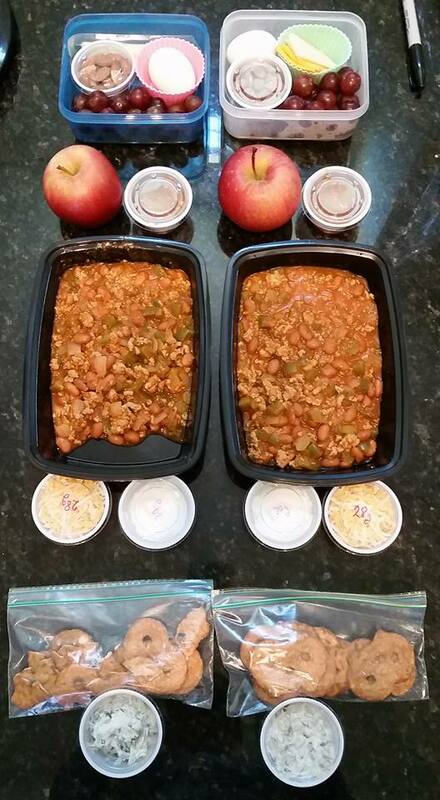 This means you can make one batch of turkey chili for the week (6 servings, 3 lunches for each of us). Two packages of chicken thighs will feed us the other 2 days (4 servings of 4oz of chicken, 2 lunches for each of us). See what I am saying. You don’t waste food either by having leftovers sit in your fridge and go bad. Portion Cups are the best thing ever!!! 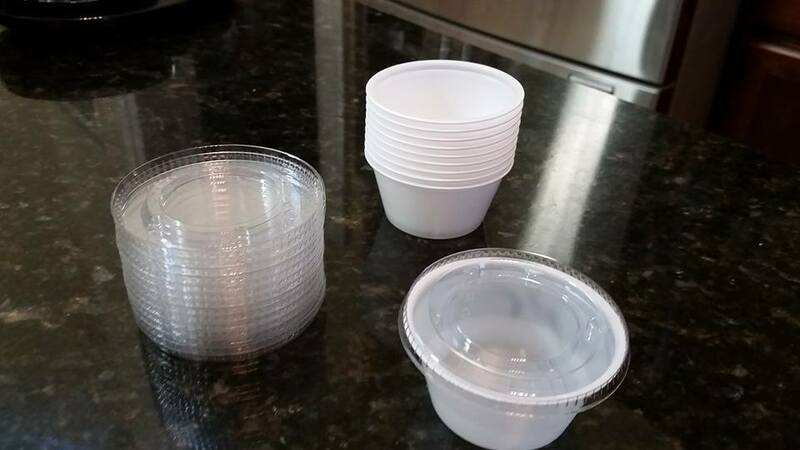 I bought a box of 500 portion cups and a box of lids to go with from Sams club. These are 2oz cups and work perfect for just about anything you only need a small amount of, or a single serving of. I use these for ranch dip, caramel dip, spinach dip, shredded cheese, sour cream, hummus, etc. You get the point. They are great to separate your foods into single serving sizes. Use portion cups with snack size baggies and you are set. 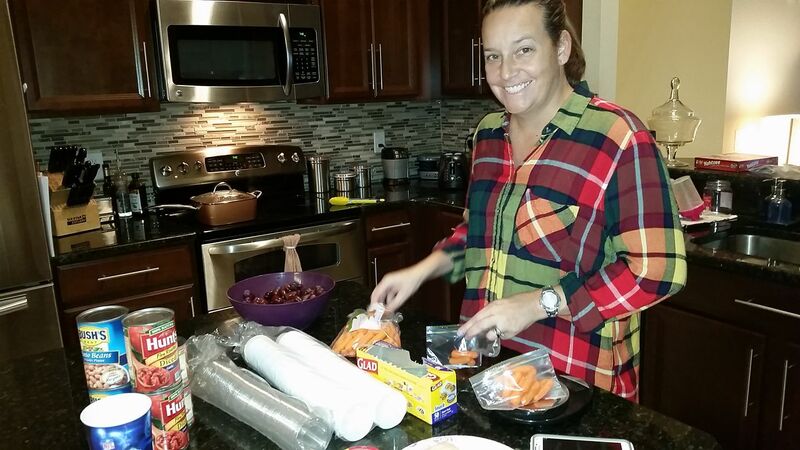 We split out carrots, grapes, celery, and pretzel chips into portion sizes. This saves money because you are not buying single serve portions. You buy a normal bag and separate yourself. We use a small scale to measure the portions by grams or ounces. 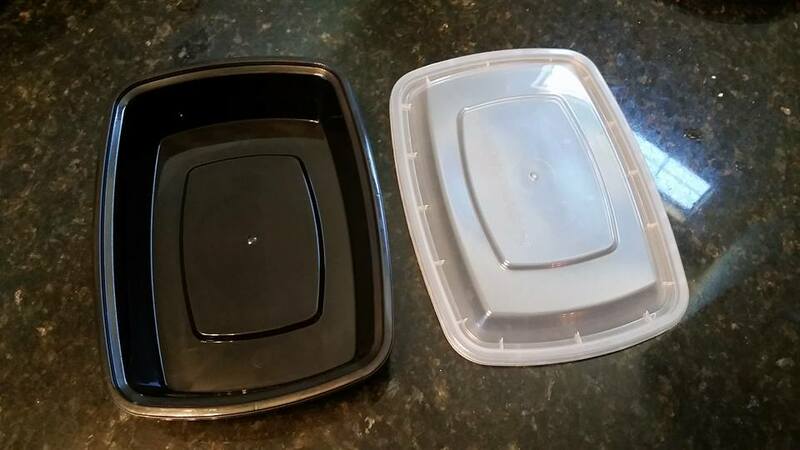 We use these disposable containers for lunches. You can also wash them and reuse but if they get nasty just toss and buy new. These are $8 for a package of 25 at BJs and are a great size for lunches. We have a pretty good system down. D portions out the snack items while I cook the breakfasts and lunches. This is what one day of breakfast, snack am, lunch, snack pm looks like. Since we both eat the same thing we make enough for each of us per day. Meal prep for the week is done and ready to go. Again, all dinner meals are made each day but having the menu and food ready for each meal take all the hassle out of cooking dinner. Give it a try! Obviously being pregnant changes a few things around here for me. First off I need to adjust my daily calories. 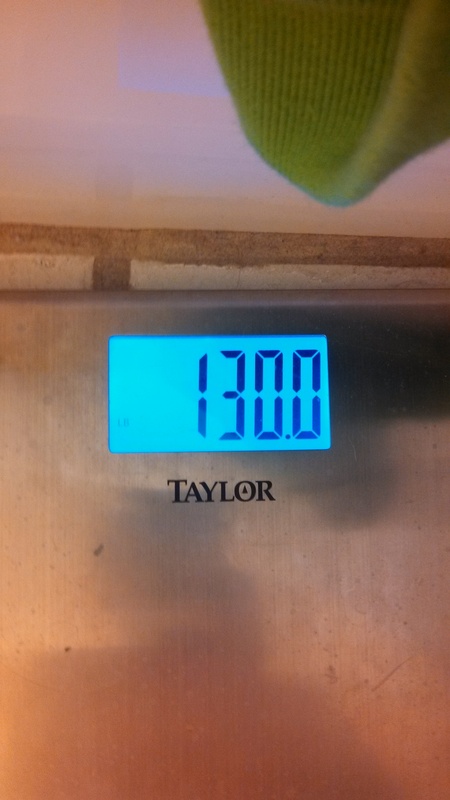 Prior to now I was at 1400 calories a day. 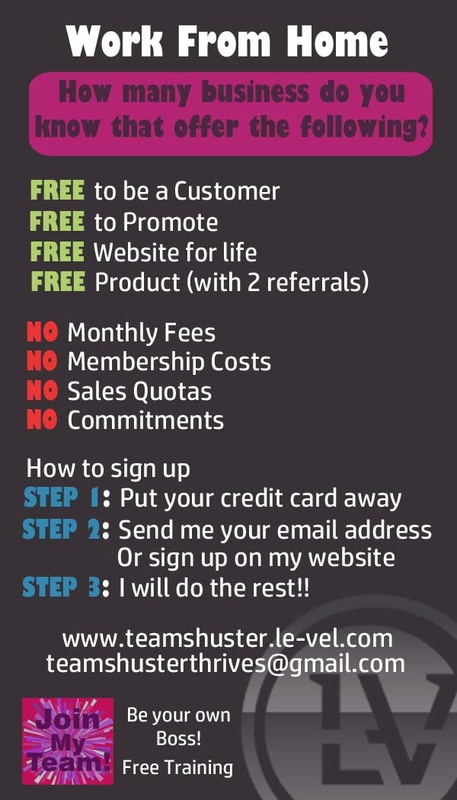 This put me at a loss of 1 pound per week – If I followed it to the tee and did my workouts like I was suppose to. I changed My Fitness Pal to a maintain mode. 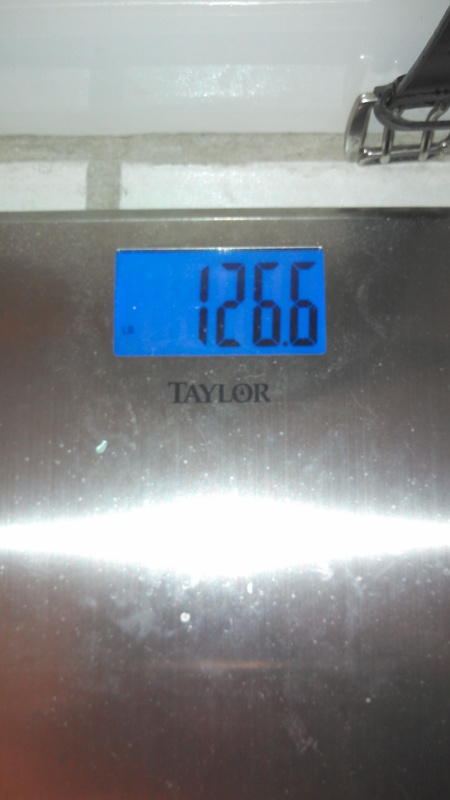 This means I am no longer trying to lose weight but just maintain my current weight. I know later I will have to add calories for the baby but I do not need any more at this point in time. Changing to a maintain mode changed my daily calories from 1400 to 1660. I have been doing this for the past two weeks and I have to say that with the nausea I have been having I am not even hitting 1660 calories most days. As of today I am 6 weeks 3 days pregnant. 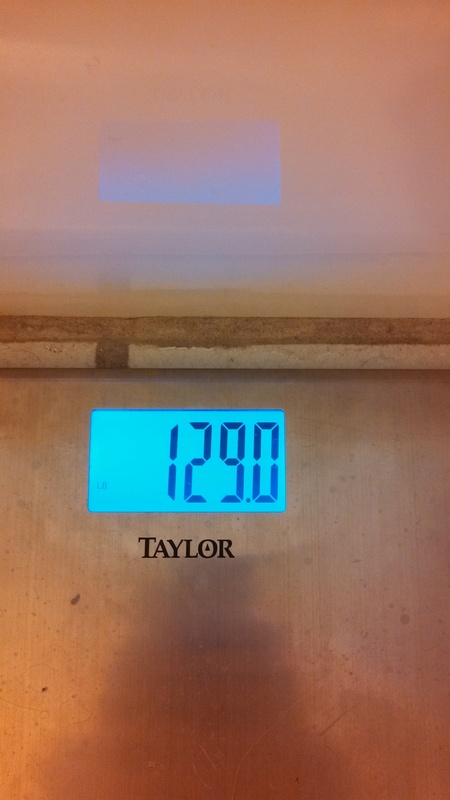 This is my weight. This was my weight at 5 weeks 6 days. I am sure I will start gaining weight soon but for now I am not worried about losing a pound or two due to morning sickness. Currently I am on doctor’s orders of no strenuous activities so I am not doing any workouts right now. 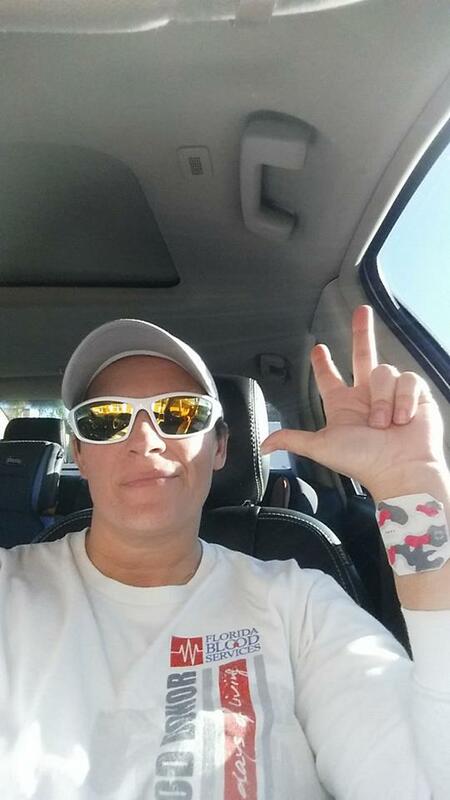 When I go back to the doctor in a week, I will hopefully be able to get back to some workouts. I don’t know if I will be able to run or not due the risks I have of miscarriage but I do plan on doing the elliptical and walking to keep getting my workouts in. I am hoping this will not be a problem with the doctor. I want to stay fit for this pregnancy. I have worked way to hard this past year to just eat it all away. 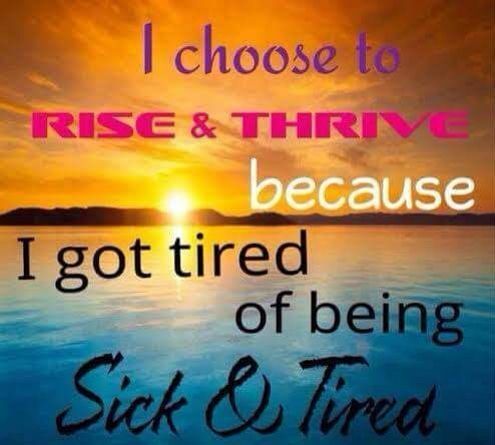 I can have a healthy baby and healthy pregnancy without going overboard. I am sure I will have my days of just eating everything in sight but I am hoping those days are few and far between my healthy eating days. So far there is nothing healthy about my eating. I don’t have much of an appetite so I am not eating much to begin with. Nothing sounds good and when something does sound good it is usually something fried. That is all I have been wanting to eat is fried foods. The other morning we went out to breakfast and I ordered biscuit and gravy and fried mushrooms. Yup what a combo! LOL But that is what sounded good. So much has changed in 1 year. Lots of hard work, dedication and determination has brought us to today – the day after Christmas. 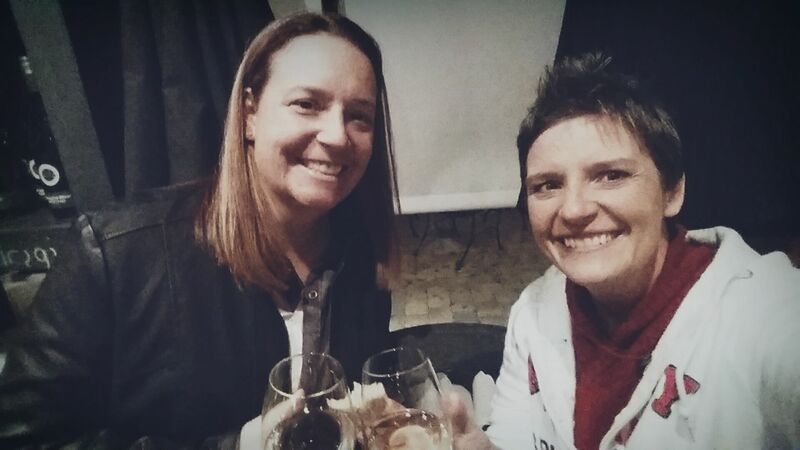 The day I decided to change my life a year ago. The day I looked at this picture and cried because I couldn’t stand the way I looked. The day I looked at this picture and was mortified that I was wearing a maturity shirt and I was NOT pregnant. The day I knew that was going to be the last day I looked like this. A year ago Christmas is when I really saw what I looked like and I really dint like what I saw. I needed to make a change and I needed to change my life for the better. I was overweight and unhappy and I knew I was the only one who could change that. My daughter was 2 years old and I could not longer use the baby weight excuse. This year was so much better. I felt great. I knew I did what I set out to do and I couldn’t be happier. This year I was happy to take pictures. This year I was happy to look at this picture and see how far I have come. The only tears shed are pure tear of joy and happiness. This year is going to be so much better. I love the new me and I will not go back to the way I was last year. It seemed like I plateaued and couldn’t lose any more weight but I guess with all the training and my long runs I am finally losing again. Hey I am not going to complain.